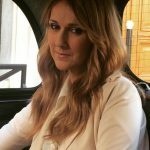 In case you haven’t noticed, Céline Dion has usurped Céline the label as the fashion internet’s favoritetopicofconversation over the past few weeks. After making the rounds at Paris Haute Couture Fashion Week in some truly knockout outfits, and proving that not everyone has to sit stone-face in the front row (you can whoop and thumbs-up and even cringe a little), she really won the industry over by emerging from her hotel in an $800 Vetements “Titanic” hoodie, a giant sartorial wink towards her new legion of fans. As a Canadian and a longtime fan, this has been especially thrilling—and props to stylist Law Roach for catapulting the singer into the internet’s collective consciousness—but I do have to wonder whether the people who are singing her praises now know that she’s always been pretty damn cool? Since the early ’90s, Céline has had a sense of style that’s all her own—she’s not afraid to put on something slinky, but can also rock a pair of trousers on the golf course; she’ll do a sequin diva look to an awards show, but slip into a comfy sweater dress for rehearsals. 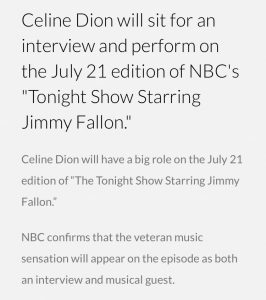 Celine will sit down for an Interview and perform on Jimmy Fallon’s show on July 21st a day before she takes the Today Show for their concert series. 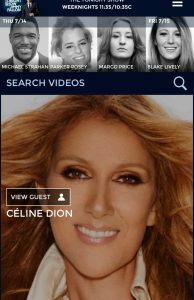 We are guessing she will talk life about her husband Rene Angelil and probably mention to Jimmy she started working on an english album. 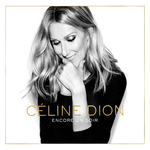 She has been thrilling fans in Paris at her sold out concerts for the past two weeks. 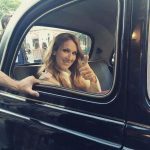 But Celine Dion is finally leaving the City of Love and was given a rapturous send off by staff at the luxurious Royal Monceau Palace Hotel when she checked out on Saturday. 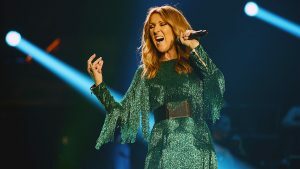 The 48-year-old French-Canadian singer was mobbed by hundreds of fans outside the hotel, watching as she was driven through the street in an open-topped car. Clearly sad to see the star go, hotel staff bought hundreds of pink balloons and spelt out the word ‘merci’ to bid her farewell. Wearing a highly individual burnt orange patterned dress, Celine was happy to sign autographs and take selfies with the mass of fans who had gathered. She completed her idiosyncratic look with a pair of burgundy velvet block heel boots, despite the warm weather. The global superstar will perform her final Paris concert on Saturday evening at the AccorHotels arena in the southeast of the city. 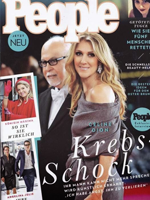 As Celine was snapped by eager fans on their mobiles phones, she looked remarkably composed in a pair of oversized sunglasses. But when travelling in the car through the throng of people, the singer became more animated and waved excitedly to the crowd. She lent her vocals to epic blockbuster Titanic’s theme song in 1997. 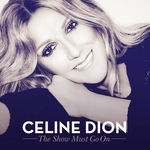 And almost two decades after Celine Dion’s moving ballad My Heart Will Go On became one of the biggest-selling singles of all time, the pop diva was seen paying tribute to the track as she stepped out in Paris on Friday. The 48-year-old singer donned a hoodie – which retails at a staggering $885 – embellished with tragic lovebirds Rose and Jack from James Cameron’s cinematographic masterpiece. 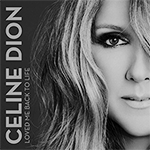 Celine showed she has never let go of her love for the film, which helped her secure her greatest hit of all time. The jumper, now sold out, bears the iconic image of the Kate Winslet and Leonardo DiCaprio-played lovebirds in the big budget romance, which appeared on posters at the time. Celine teamed her statement look with a pair of skinny jeans and a stylish, silver handbag. She flashed a big grin while exiting her hotel in the French capital, looking radiant as she greeted her fans with a wave. The vocal powerhouse was rocking a natural hair and make-up look for her outing, making the most of her free time in the midst of her epic world tour, which is currently on its European leg. 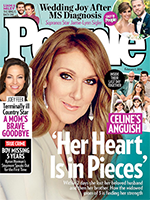 Brave Celine endured a rough start to the year, after losing her beloved husband René Angelil and brother Daniel within days of each other.